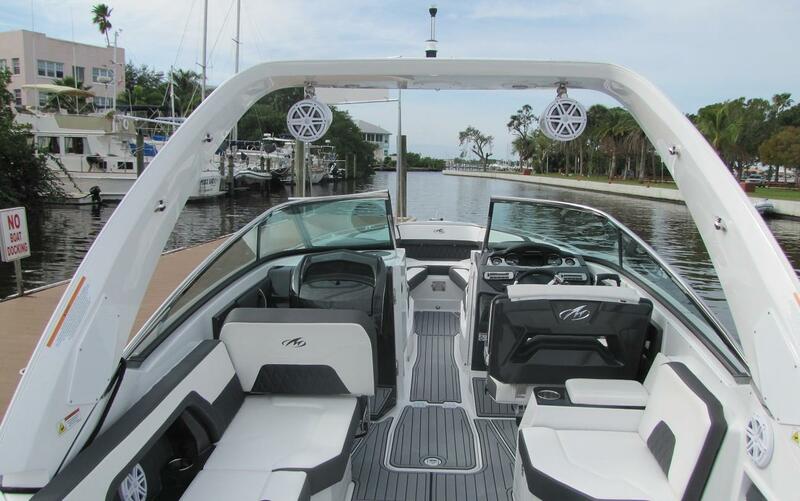 Monterey’s newest edition, the 305SS, offers endless possibilities for all you’re on the water adventures. 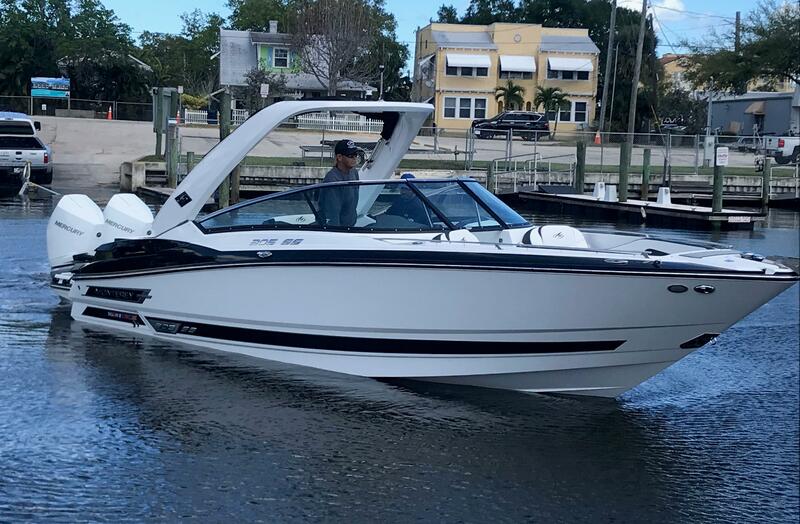 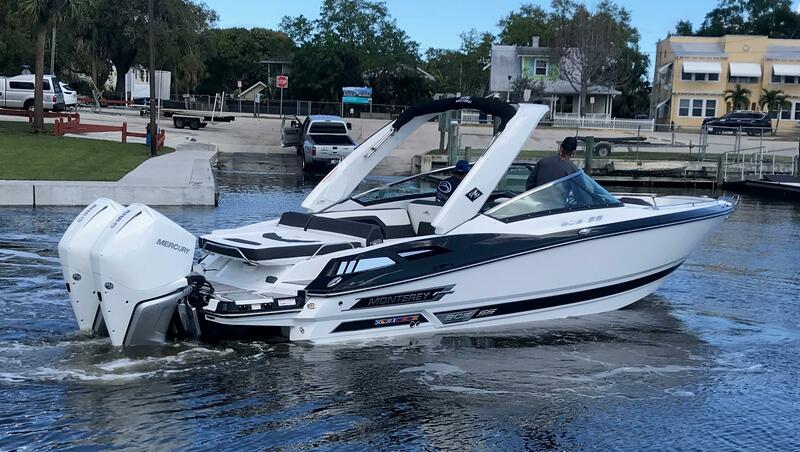 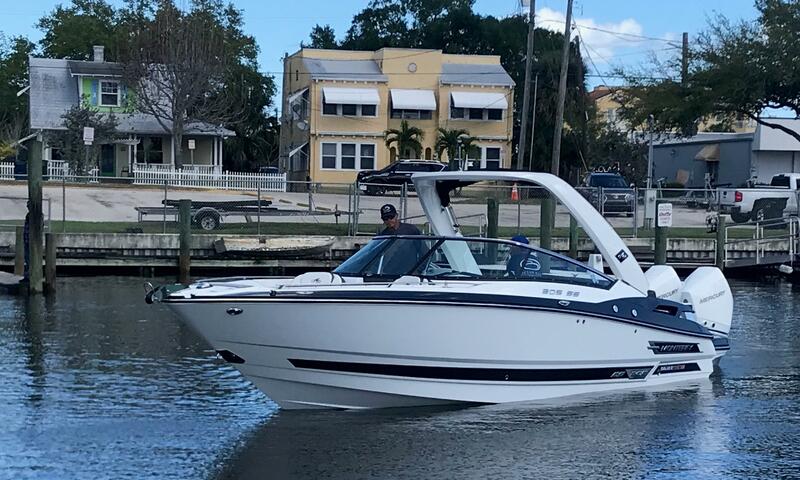 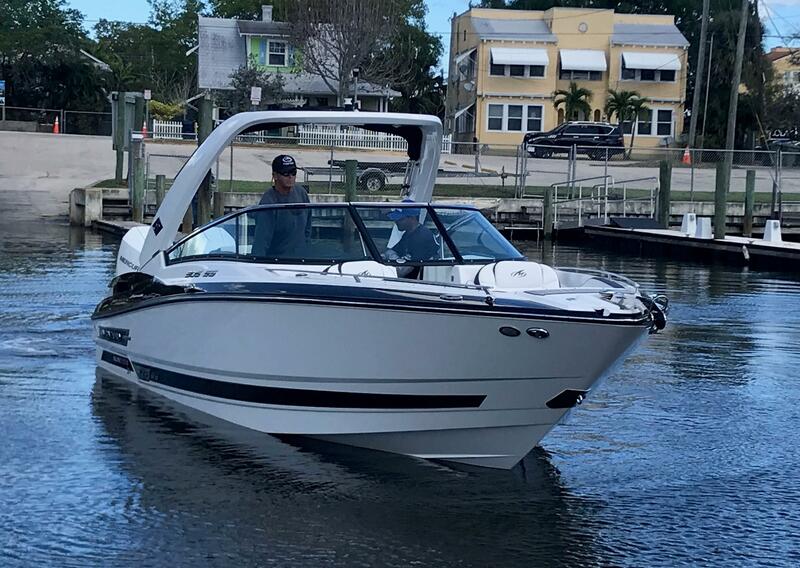 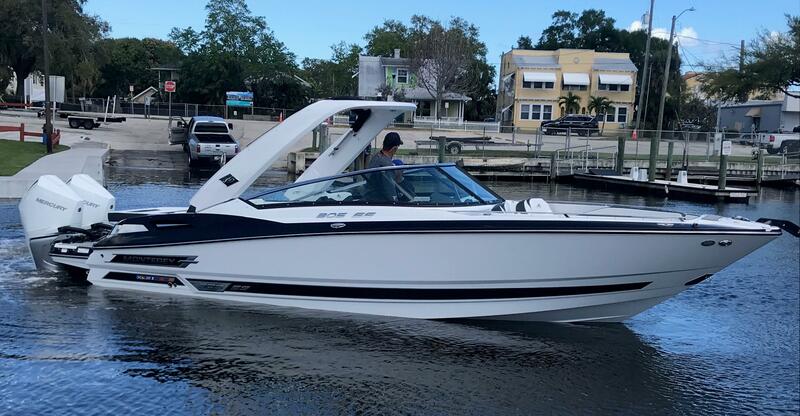 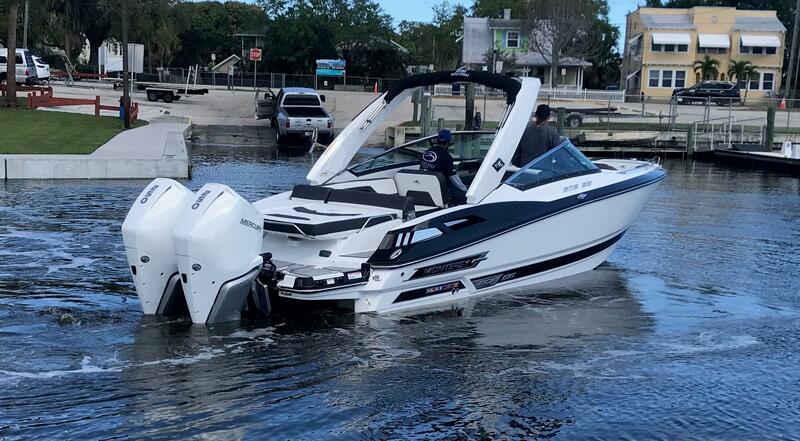 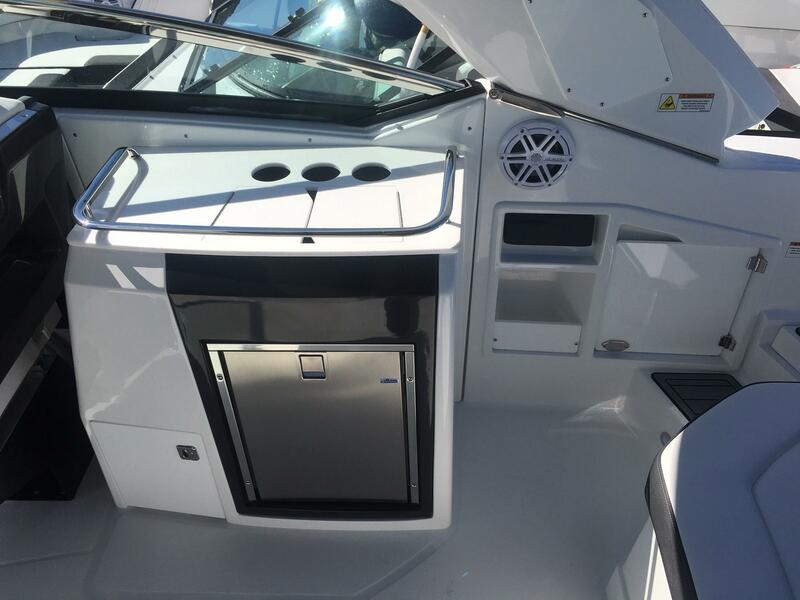 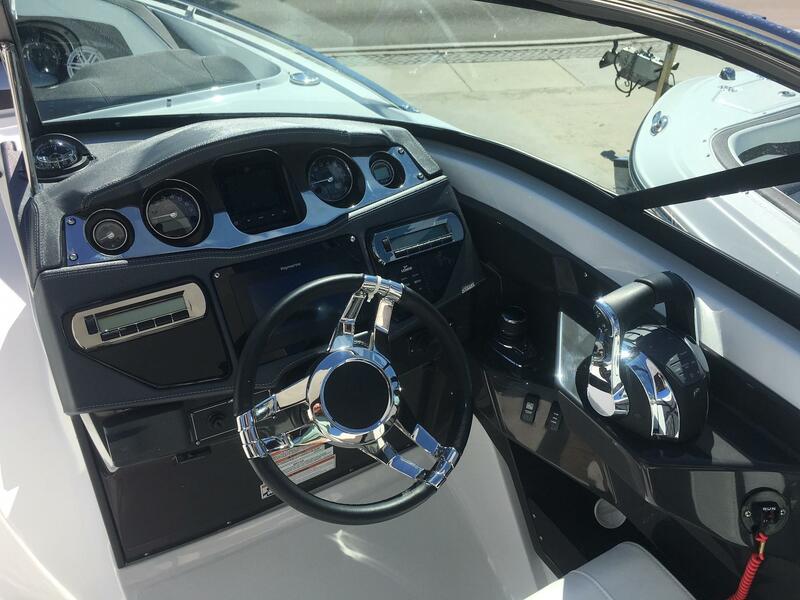 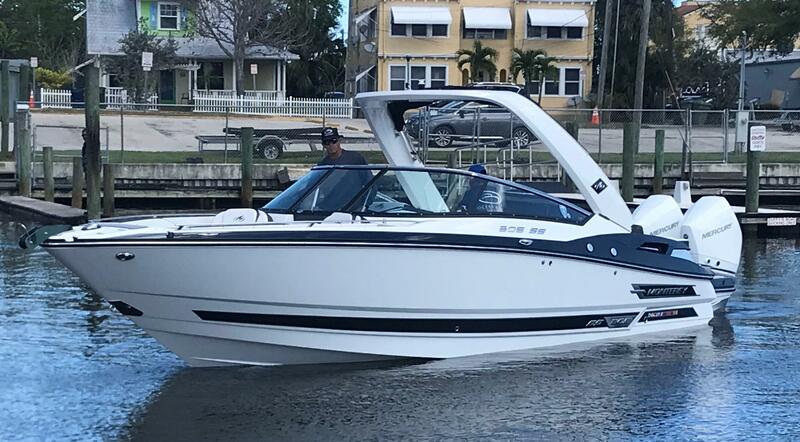 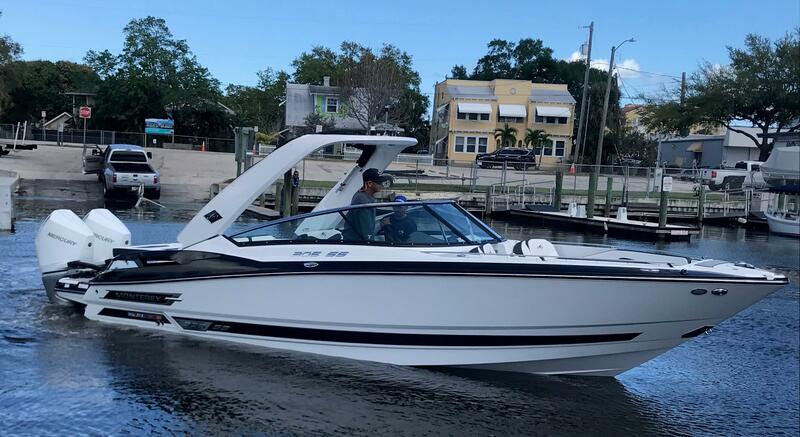 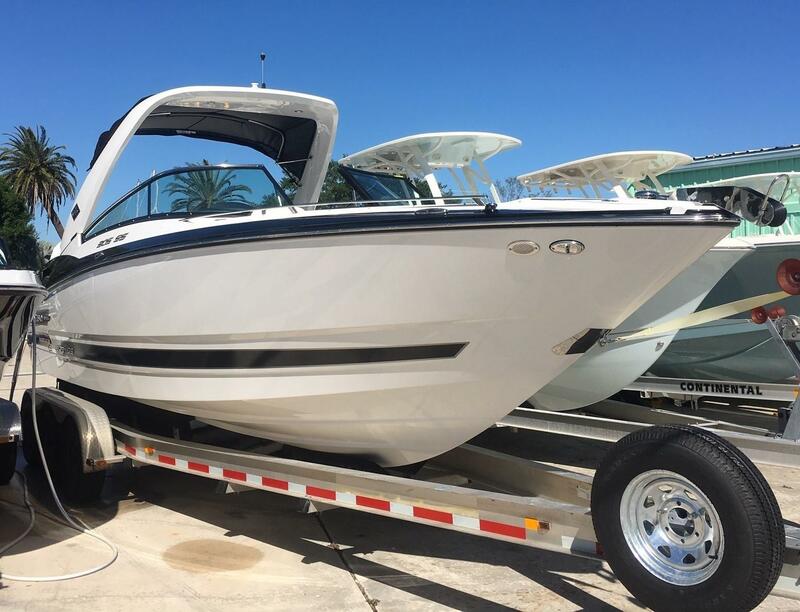 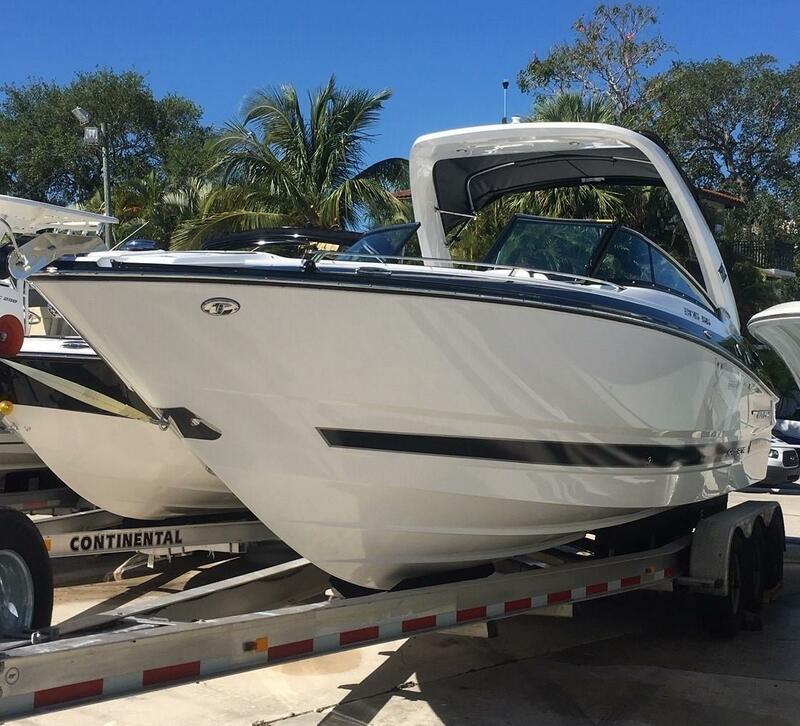 Loaded with a wide array of standard features and amenities, the 305SS offers everything you need to enjoy your on the water adventures to the fullest. 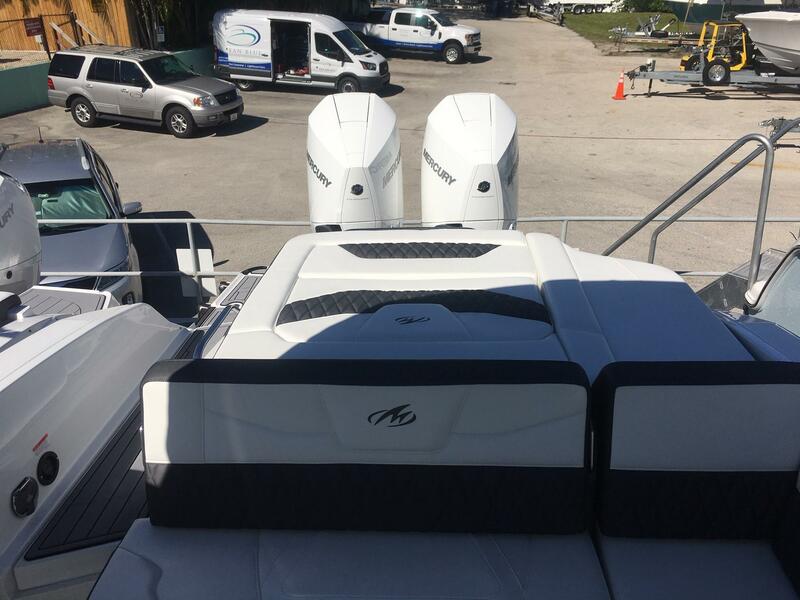 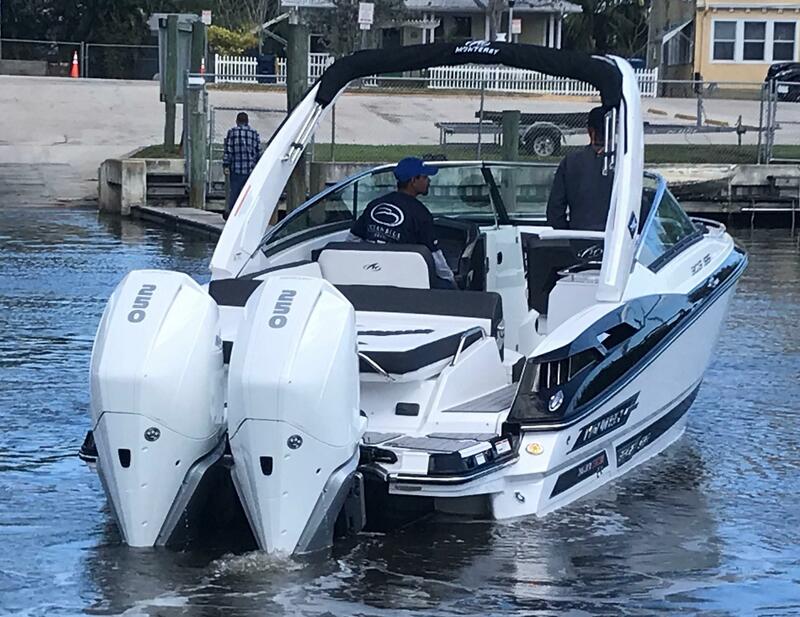 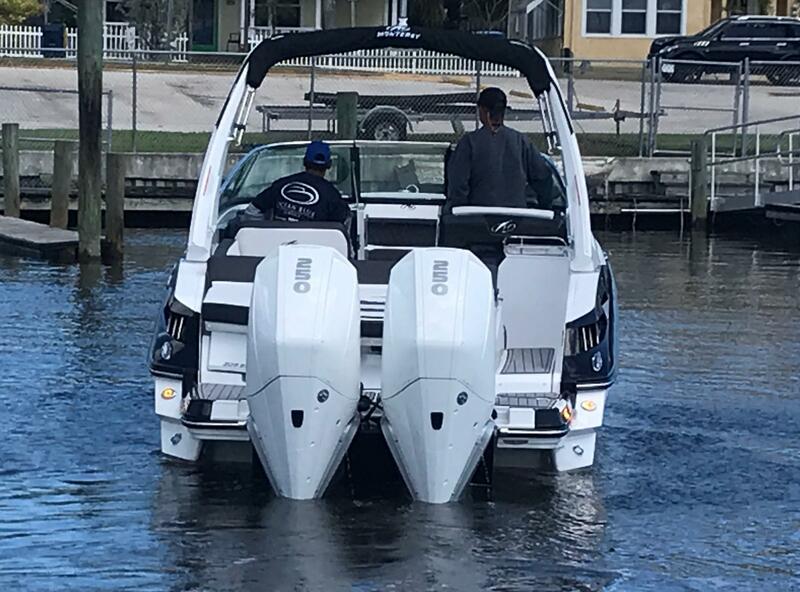 Twin V8 Mercury 250HP outboards provide more than enough power to get you where you want to be whether its the sandbar, cruising, watersports or just out for dinner to a waterfront resturant. 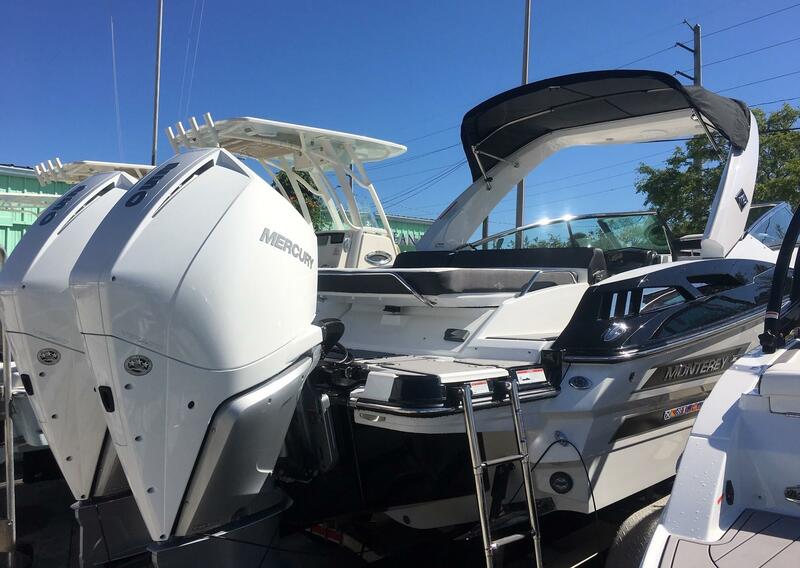 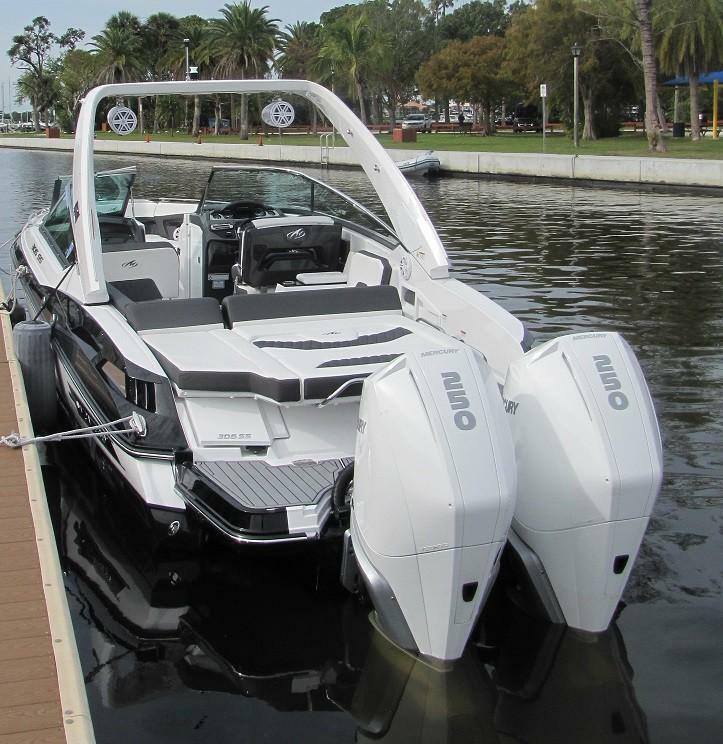 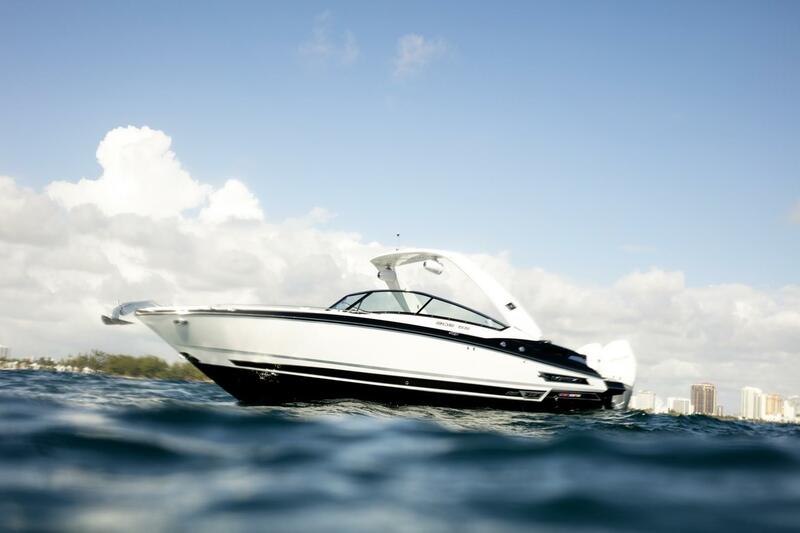 Combining luxury, technology, and performance, this beauty will change the way you think of power-boating. 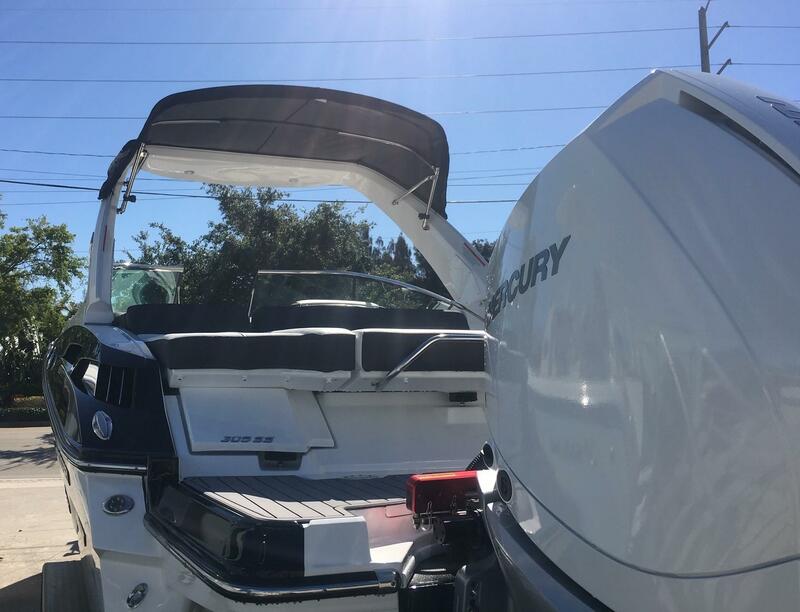 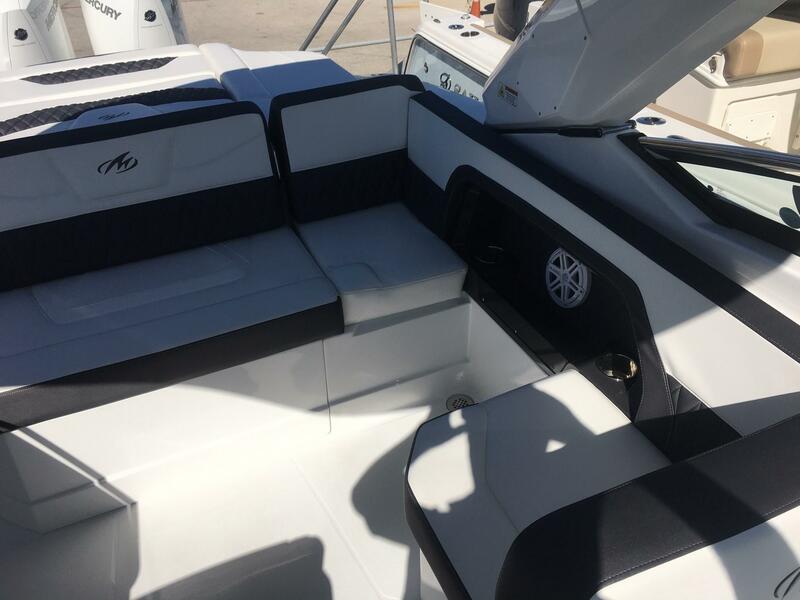 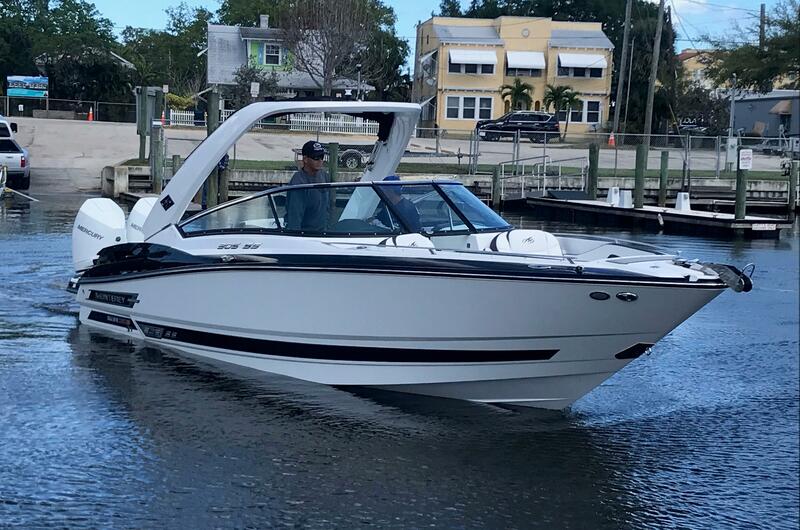 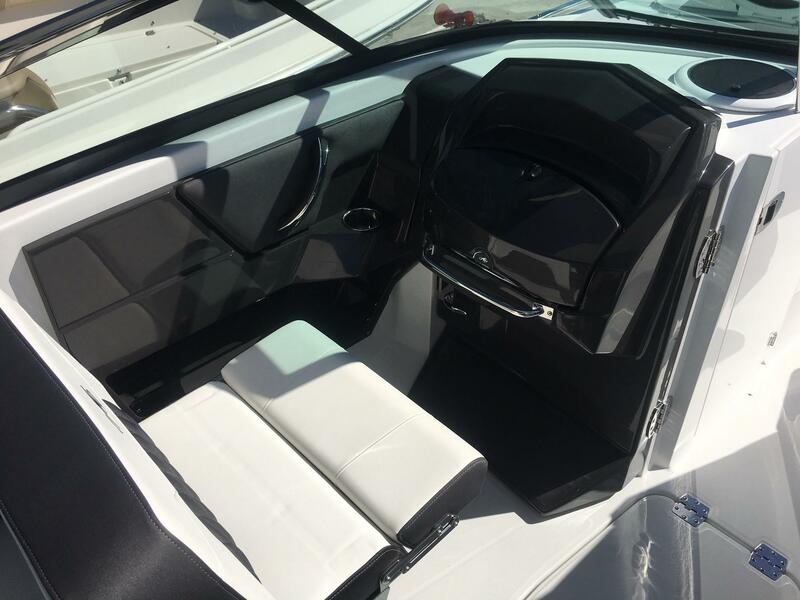 With a stable and comfortable 9 foot beam, the 305SS comes standard with a roomy head compartment, and a huge aft seat stretching across the stern complete with flip-up backrest for lounging. 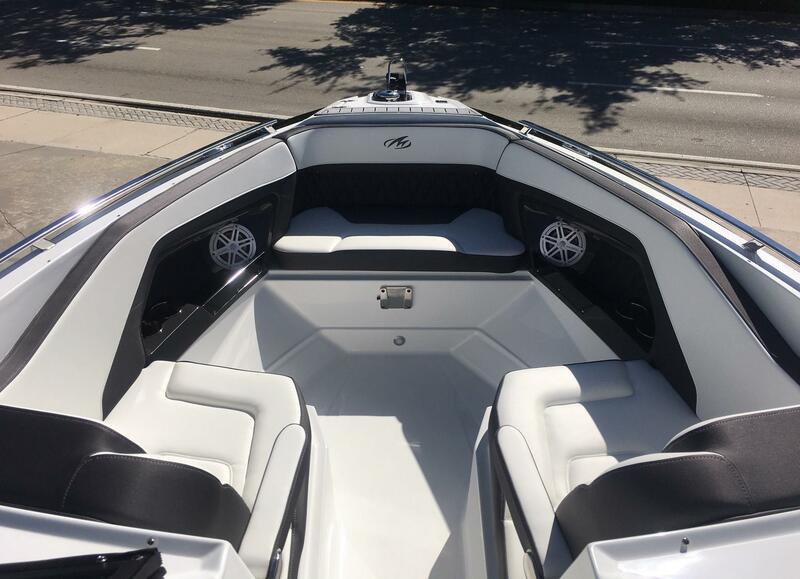 Multiple cockpit configurations are available making this one of the most versatile party platforms out there.